5 Minutes for Fido: Mom is at Barkworld Without Us! Mom is at Barkworld Without Us! Do I look happy about this? NO! I gave her every opportunity to pack me up and take me along. I hopped into my crate and gave her my best imploring look, but no, she still walked out this door. Meanwhile I'm left at home to supervise all the product reviews, giveaways, advertising and Twitter Party planning going on at All Things Dog Blog. Do you think that's fair? I'm not a workhorse. 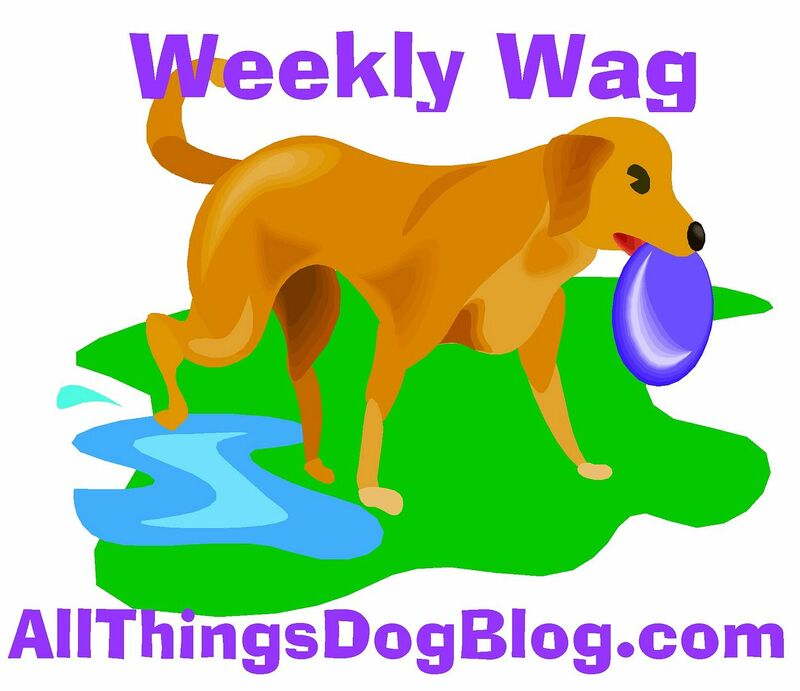 I'm a companion dog, product model, and much more, but NOT a blogger stand in. Woof. My boy got married last week, so I guess his new wife would be my girl-in-law. That works, right? Only problem is I'd have to fib. Tanner says that's a no-no. He's a goodie two-shoes! I guess I'll go get my girl and spend some time with her. Maybe, just maybe, I can talk her into a good outing. I'll go anywhere, just out. What do ya say, Toni?